I am falling in love with summer crochet! There are so many great patterns coming out right now – no seasonal slowdown that I can see! 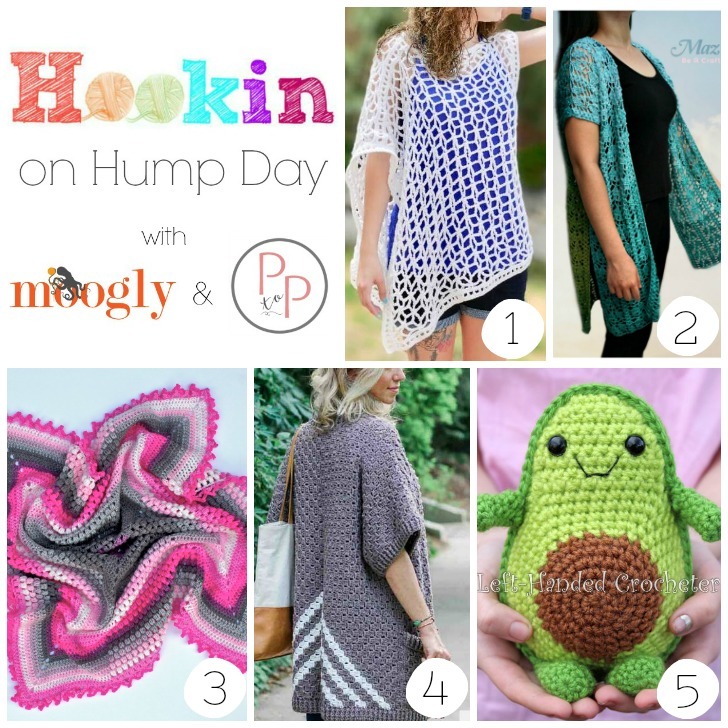 So I love seeing what pops up every round of Hookin On Hump Day – and what is earning your clicks! This round we have 5 fab new patterns – which one will be your new project? 1. 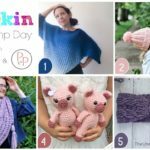 MOST CLICKED LINK: Star-Spangled Ponchette by Crochetpreneur – a PAID asymmetrical crochet pattern that you are going to love to make and, even more so, love to wear! 2. Delicate Kimono by Be a Crafter – lacy flowy outerwear inspired by a beautiful seaside theme, and size M/L is FREE! 3. Pineapple of My Eye Baby Blanket by Nana’s Crafty Home – a beautiful FREE baby blanket pattern with a video tutorial included! 4. 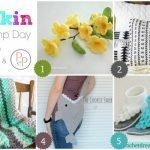 Free Range Corner to Corner Crochet Kimono by Make & Do Crew – a few basic rectangles come together to form this lovely FREE crochet pattern! 5. Avocado Friend by Left Handed Crocheter – avocados are a super food – and they are super cute and super cuddly in this FREE crochet pattern! 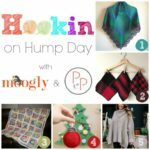 Hookin On Hump Day #142: A Yarny Link Party! 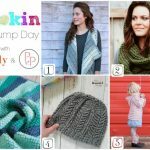 Hookin On Hump Day #162: A Yarny Link Party!